Location Location Location!! This 3 bedroom 2 bath home has endless possibilities. Build up or out, extend the backyard with decking, add a never ending pool, or keep home exactly as it is with all it's charm. The view is priceless and so is the quiet cul-de-sac location. Lovely tiled sunroom built in the back of the home perfect for using the jacuzzi or stargazing through the upper and lower glass. Because of the canyon, the breezes are delightful and the backyard is very private., Homes rarely come on the market in this area and even less often on this street! The seller is the original homeowner who took pride raising his family in such a wonderful school district closeby to Standley Park & Recreation Center where sports and classes are offered and University Gardens Park off Gulstrand St. It's easy to be active in this community with all that it has to offer. University City is located in the "Golden Triangle" with easy access to most locations. La Jolla is to the west, 52 to the south, and 805 is to the east. UC is home to many high-tech, bio-tech, and clean-tech businesses and research institutes that power San Diego's economic engine. UCSD, Westfield Towne Center, La Jolla Village, Torrey Pines Park, & Torrey Pines Golf Course are all nearby for plenty of shopping, restaurant, & entertainment options. Nearby schools include Curie Elementary, Standley Middle, & University City High. 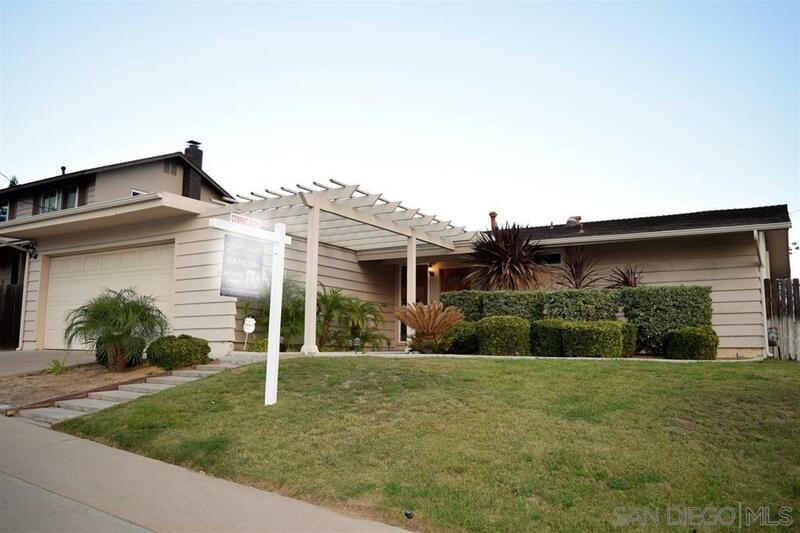 Buyers and buyer's agent to verify all prior to close of escrow.